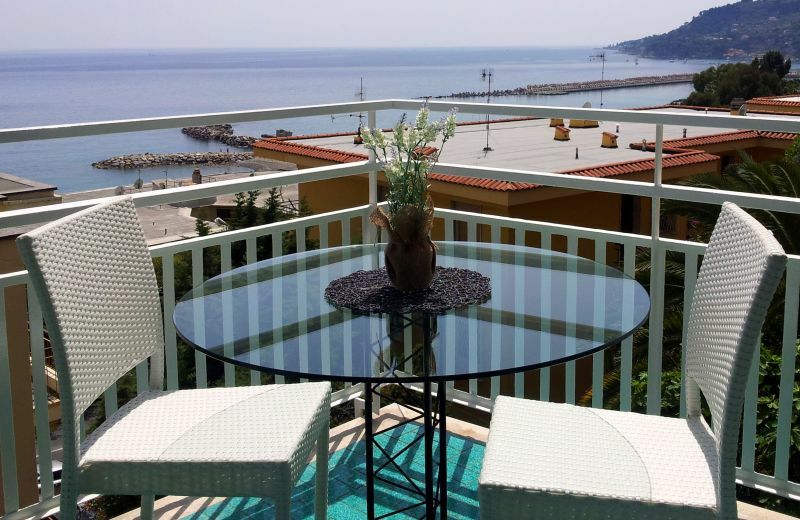 Sunny apartment with stunning view across the bay from San Remo to Bordighiera. Recently restored. Located on the second floor with lift in an elegant building. The house consists of a large entrance hall with double sofa bed, one double bedroom, bathroom with shower, a small kitchen and separate living room with sofa bed and large windows framing the terrace, from where you can admire the beautiful colors of dawn while sipping coffee or relax for sunset dinners by candlelight. The house is equipped with every comfort, even for long stays. There is a washing machine and dishwasher, 2 TVs and almost all the furniture, including sofa beds, are new. Just a 3-minute walk from the sea. Favorite refuge for people seeking tranquility that combines relaxing alternatives to busy cities and entertainment, but close enough to numerous places of entertainment and sports facilities (tennis courts, swimming pools, gyms, bowling alleys) in the town. The beaches are perfectly equipped with safe swimming and essential services. 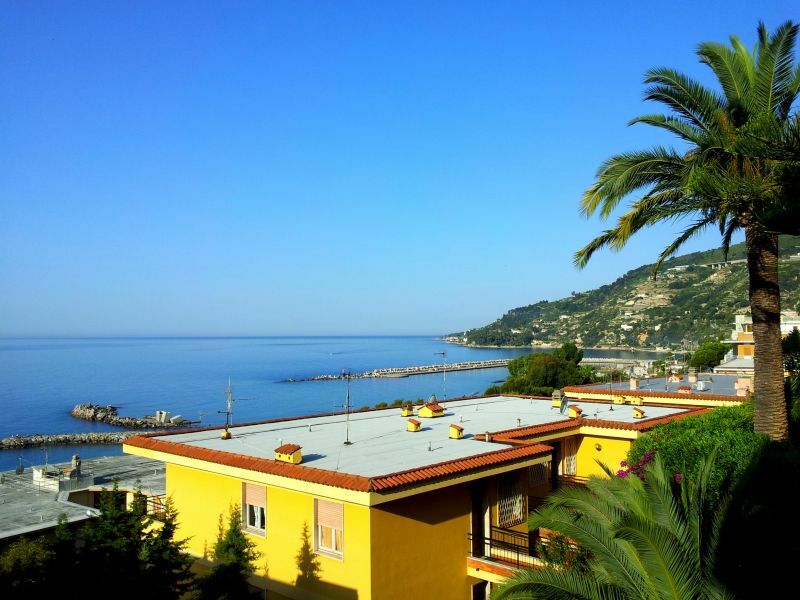 The house is located on the coastal road of Ospedaletti, nestled in a natural environment and peaceful oasis of uncommon beauty, just 5 km from Sanremo. The sub-tropical vegetation, combined with a few houses, etc. make Ospedaletti the undisputed jewel of the Riviera dei Fiori. The apartment is located in the central area and you can walk to everything in a few minutes. 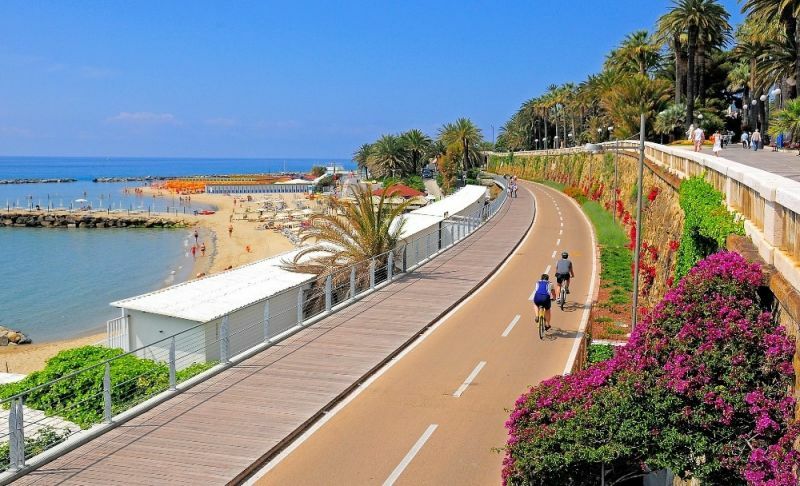 To travel in the area you can also use public transport or bicycle along the 24 km of cycle path along the sea. The town is accessible by both car and train (both in Bordighera and Ospedaletti). If you take the motorway to Genova - Ventimiglia, exit at Sanremo - Ospedaletti, go down towards the sea and follow the signs to Ospedaletti. 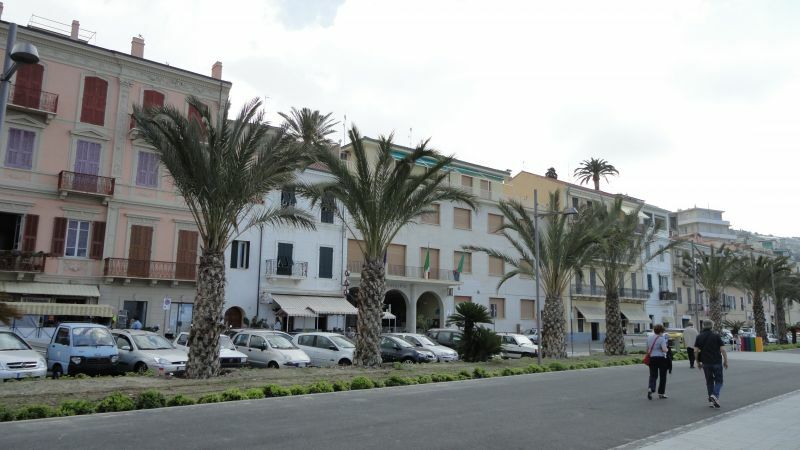 At the traffic light that leads on the main street, turn right towards Ventimiglia and continue until the Q8 petrol station At the traffic lights, turn right and after 20 meters you will find the building where the apartment is located. 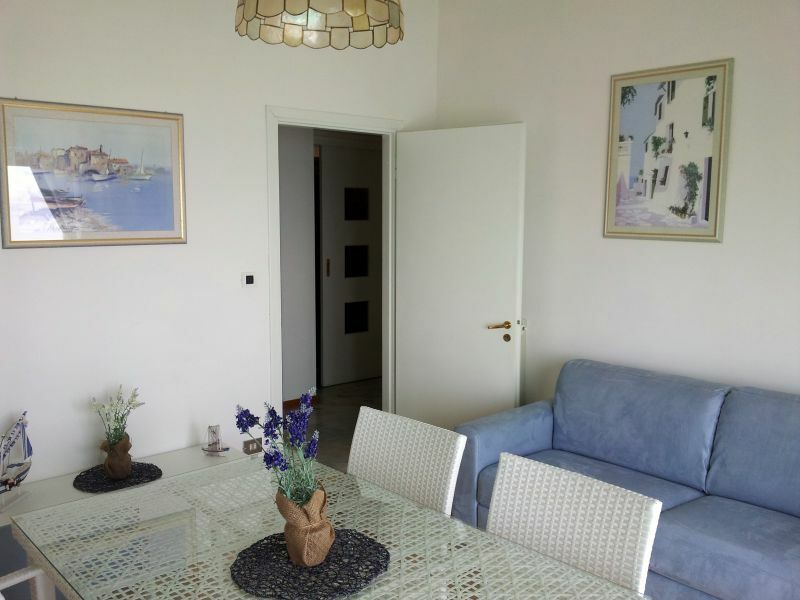 Apartment with all the comforts of home, the terrace with a view of the sea strausato in the evening for dinner (takeaway trattoria close to home very comfortable with good and abundant portions) and very friendly owners are available for every problem. 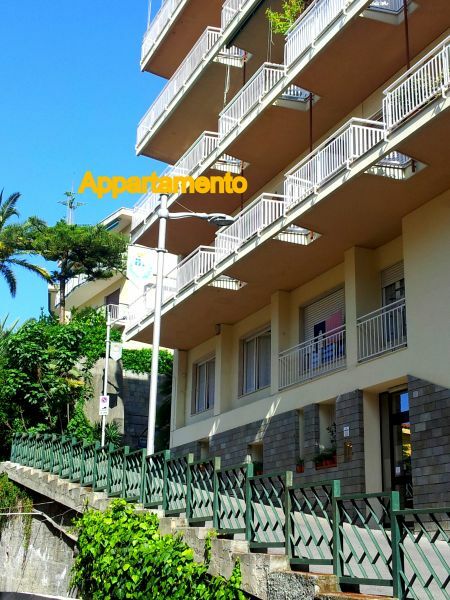 Appartamento con tutte le comodità di una casa, il terrazzo con vista mare strausato alla sera per cenare (trattoria d'asporto vicino a casa molto comoda con porzioni buone ed abbondanti) e proprietari molto cordiali è disponibili per ogni problema. A fantastic holiday, thanks also to the very bright apartment, the balcony with a breathtaking view has definitely made the difference. The owner is very helpful. I would definitely recommend it. Una vacanza fantastica, merito anche dell'appartamento molto luminoso, il balcone con una vista mozzafiato ha decisamente fatto la differenza. La proprietaria molto disponibile. Lo consiglierei sicuramente. Last year we were very pleased and so we returned again this year for a short break in the first week of September. The apartment was clean and tidy, the view from the terrace is always lovely. One can say we found everything perfect. The house is basic and located in a good location close to all amenities. La casa è essenziale e si trova in una buona posizione vicina a tutti i servizi. My husband and I stayed in the apartment the last week of August and we loved it. The apartment is bright, clean and well equipped. 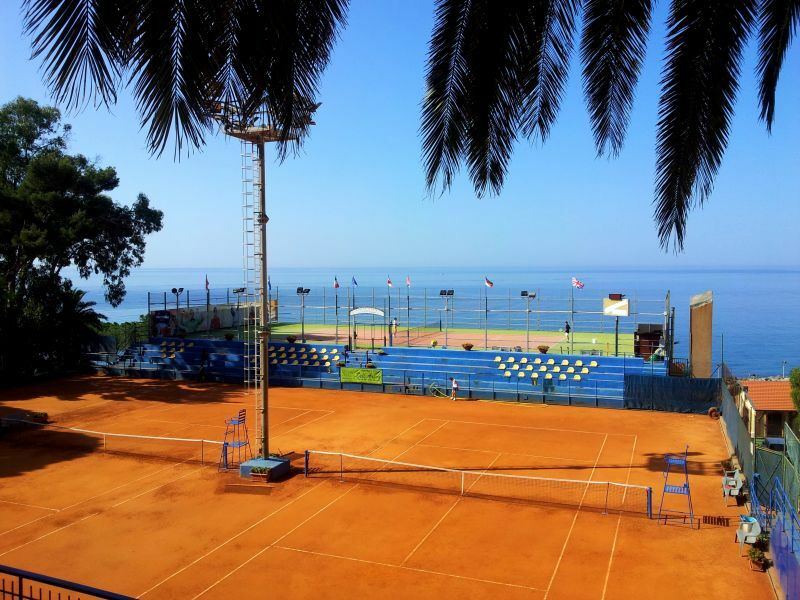 Wonderful sea view from the terrace and comfortable within walking distance from the beach. Very friendly and kind owner. Io e mio marito abbiamo soggiornato nell'appartamento l'ultima settimana di agosto e ci siamo trovati molto bene. L'appartamento è luminoso, pulito e attrezzatissimo. Stupenda vista mare dalla terrazza e comodo a pochi passi dalla spiaggia. Molto gentile e cortese il proprietario. We were fine, the apartment was well equipped and in good position for the view for the beach. 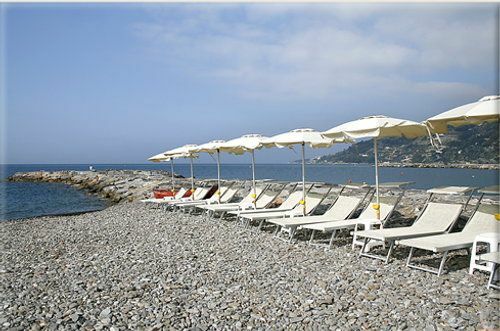 Strategically located between San Remo, Bordighera and France. Very nice new bike path. Siamo stati bene, l'appartamento era attrezzatissimo ed in buona posizione sia per il panorama che per la distanza dalla spiaggia. Posizione strategica tra San Remo, Bordighera e la Francia. Molto bella la nuova pista ciclabile. Ci tornerei. We had a great, very clean apartment lit and comfortable. Courtesy by the owner for any possible problems. Ci siamo trovati benissimo, appartamento molto pulito illuminato e confortevole. Cortesia dal proprietario per qualsiasi problematica possibile. Splendido posto mare bellissimo. lo consiglio!!!! We spent a wonderful week. The apartment is in conformity with the description, in a quiet street with a beautiful sea view. 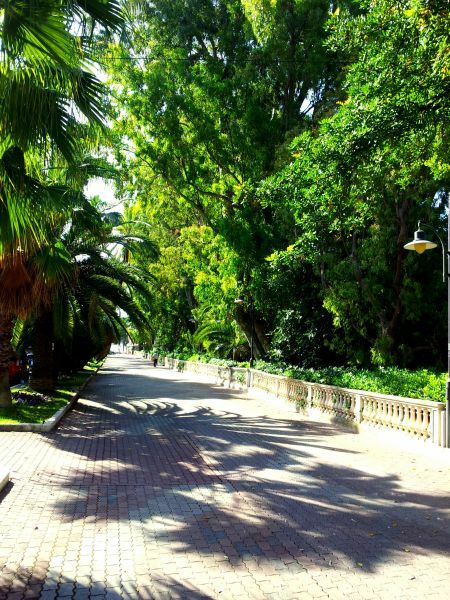 The beach is 5 minutes away, just go down a flight of stairs and you are immediately on the lovely promenade Ospedaletti. The owners were very kind and available for whatever we needed. Abbiamo trascorso una splendida settimana. 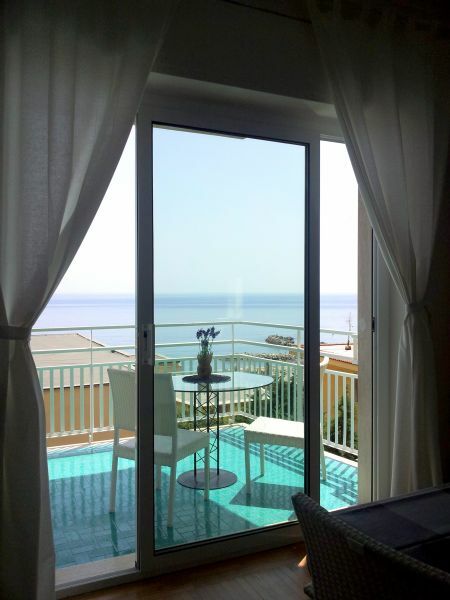 L'appartamento è conforme alla descrizione, in una via tranquilla e con una splendida vista mare. La spiaggia è a 5 minuti, basta scendere una scalinata e si è subito sulla deliziosa passeggiata di Ospedaletti. I proprietari sono stati gentilissimi e a disposizione per qualsiasi cosa avessimo bisogno. Apartment nice, clean, tidy, comfortable, you can find anything. Breathtaking view from the balcony. Convenient location for the beach and do shopping. The domestic worker friendly, helpful. For me everything is perfect. 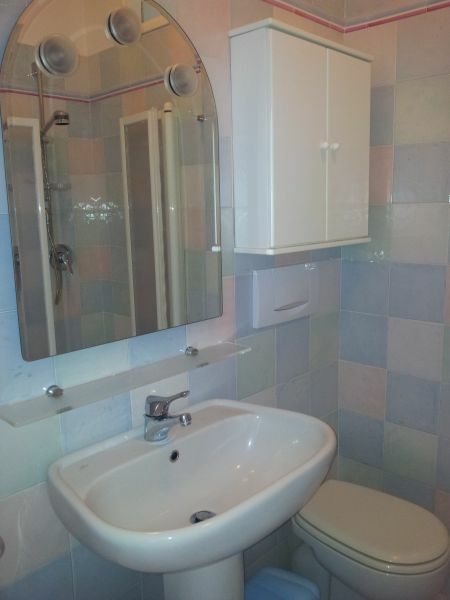 Appartamento bello, pulito, ordinato, confortevole, ci si trova di tutto. Dal balcone vista mozzafiato. Comoda posizione per andare in spiaggia e fare spesa. La collaboratrice domestica gentile, disponibile. Proprietario gentile e disponibile. Per me tutto perfetto. 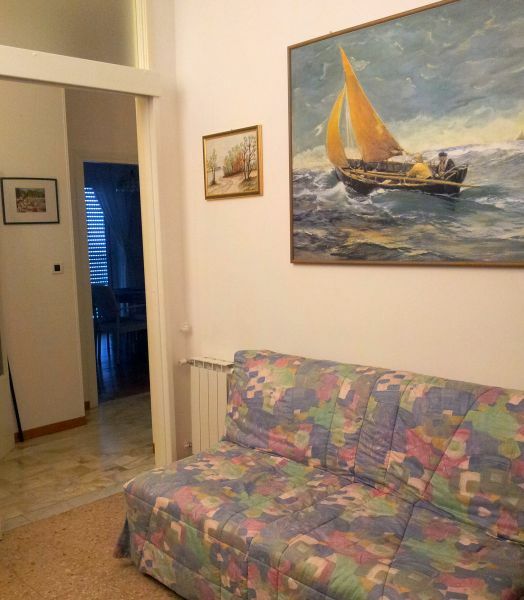 Saluti G.
Apartment located in a quiet street. tastefully decorated, new furniture and well kept. Large living terrace, with sea views. 1 staircase and you're at the beach. Appartamento posto in una via tranquilla. arredato con gusto, mobili nuovi e ben tenuti. Grande terrazza vivibile, con vista mare. 1 scalinata e sei in spiaggia. We spent a very relaxing holiday in a nice resort 'quiet of the Ligurian Riviera. 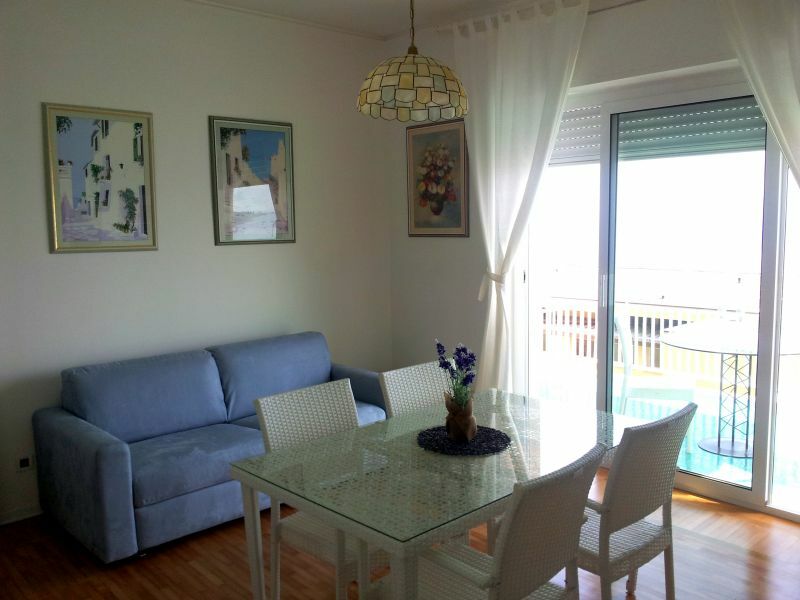 The apartment is very nice, spacious, well furnished and clean; from the terrace you can enjoy a lovely view of the sea. It 'convenient to downtown and a short walk from the sea. 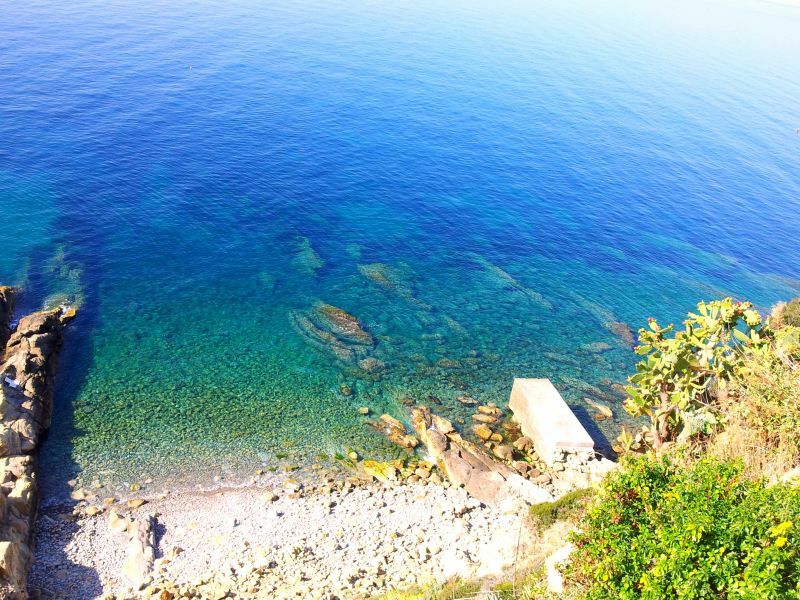 Abbiamo trascorso una piacevole vacanza molto rilassante in una località' tranquilla della riviera ligure. L'appartamento è molto carino, spazioso, ben arredato e pulito; dalla terrazza si può godere di una incantevole vista sul mare. E' comodo al centro e a pochi passi dal mare. The rental period is from Saturday to Saturday in high season. For all the other months of the year we accept flexible arrivals and departures. Prices are inclusive of all utilities, except heating in the winter. Add 50 € for final cleaning, regardless of length of stay and number of people. In the winter and for long stays, rental prices can be reduced.